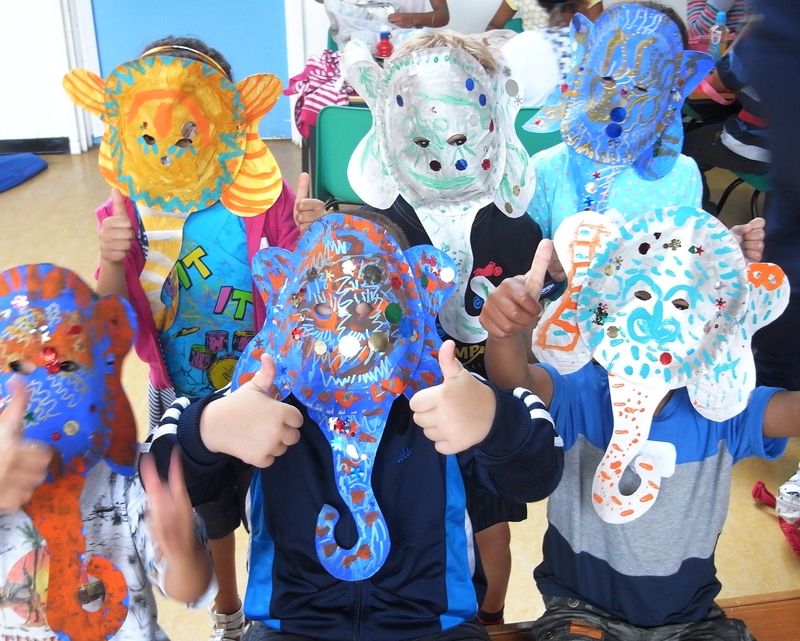 These Ganesh masks were made with large, paper plates. I did the initial prep which involved cutting out eye holes using a craft knife, cutting out trunk and ear shapes from card and then stapling everything into position. I also made holes either side of the plate for tying elastic. Of course, most older KS2 children would be able to do all this themselves and lower KS2 could do so with some support. 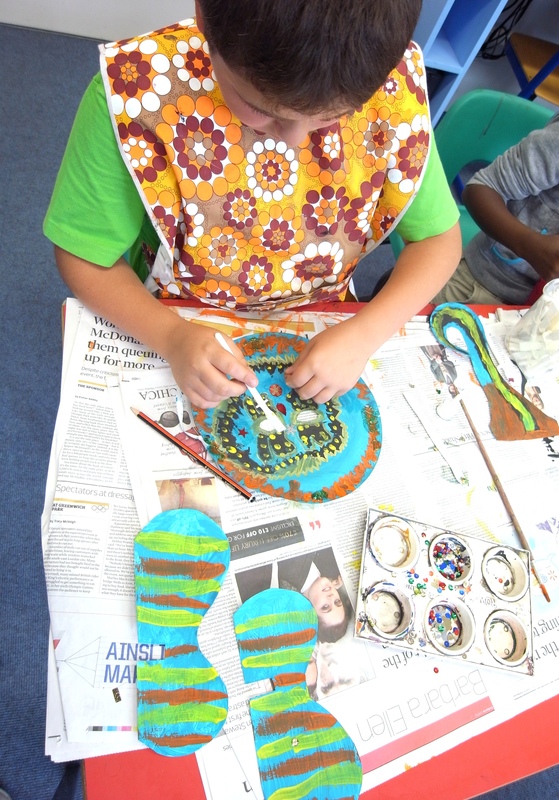 The children started by painting the whole mask in one bright base colour and then added Indian inspired patterns using gold, silver and brightly coloured paints and a fine brush. Once dry, further decoration can be added using metallic pens and papers. We used some sequins and glitter for these particular masks but now that I’m aware of how environmentally destructive they are I am trying to look for less damaging alternatives. 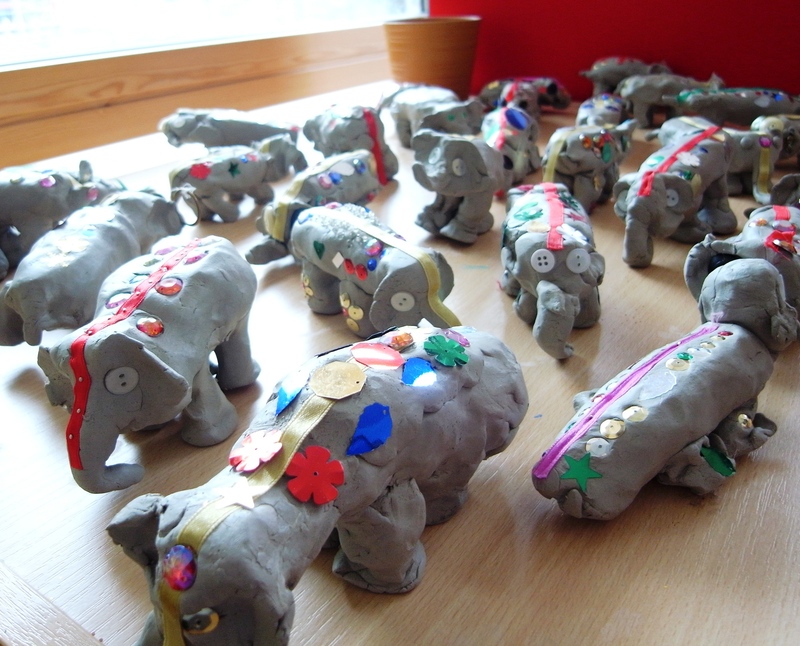 The same children also created these rather sweet Indian elephants using air drying clay. 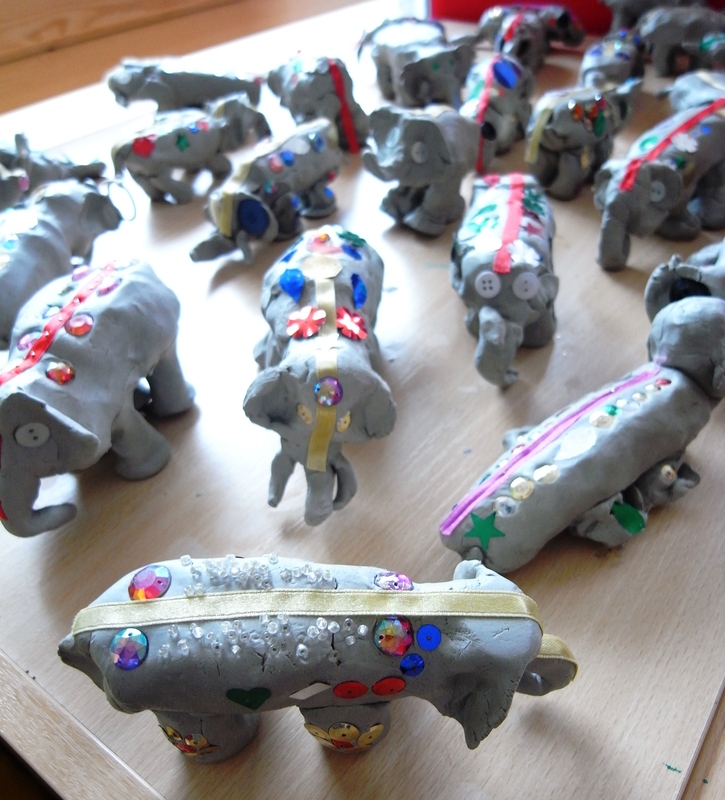 They decorated them with buttons, beads, sequins and ribbon (which can be pinned in place) before the clay had dried. 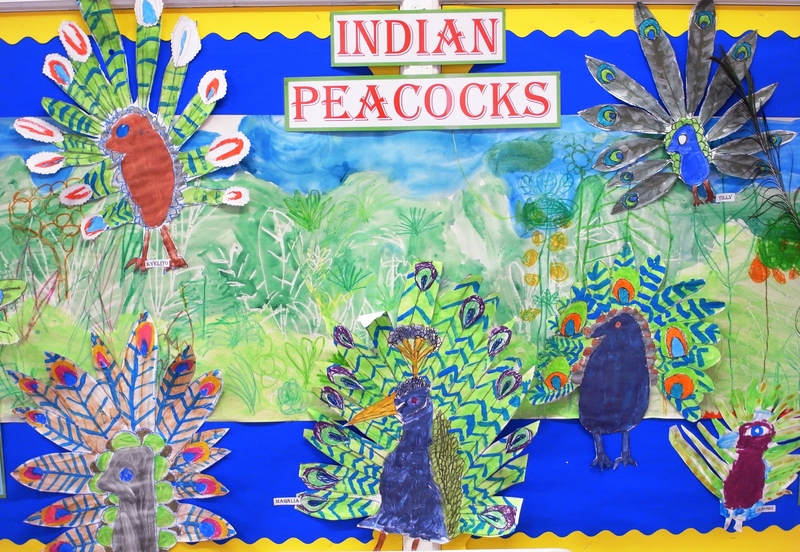 This Year 4 display features work that children produced during a topic on India. They created these watercolour paintings of India’s national bird, the peacock. They also produced the forest backdrop using the wax resist technique. This involved drawing plants with wax candles onto a large roll of paper and then painting over the top with watercolours. They went on to add extra detail using oil pastels on both wet and dry sections of the work.